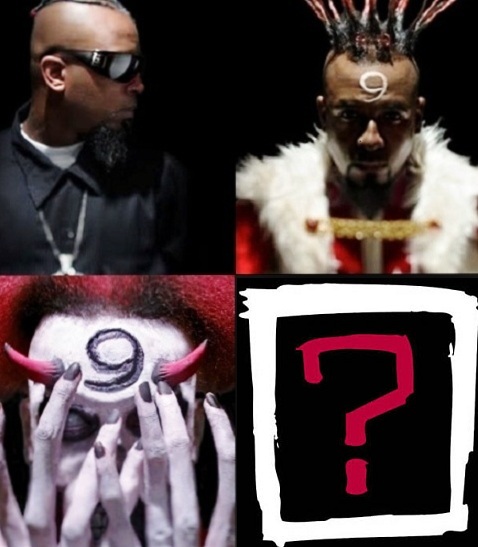 The King, The Clown, and The G.
Since the release of Everready, Tech N9ne has shown fans all three sides of himself, but now it looks as though the man of many faces is ready to break out a new identity. The speculation around Tech N9ne’s next full-length release has reached a fever pitch as fans try to piece the clues together. Hinting at what could be a big part of his next album, Tech recently hit the web to reveal his new alter-ego: E.B.A.H. Fueling the rumors, ¡MAYDAY! jumped in to compare Tech’s E.B.A.H. to David Bowie’s Ziggy Stardust, the singer’s alter-ego from space. Could EBAH be an evolution of Tech N9ne? What does it mean? Will fans know before the release of his next album? Stay tuned for the latest on Tech N9ne! What do you think E.B.A.H. stands for? How do you feel about Tech N9ne taking on a new alter-ego?